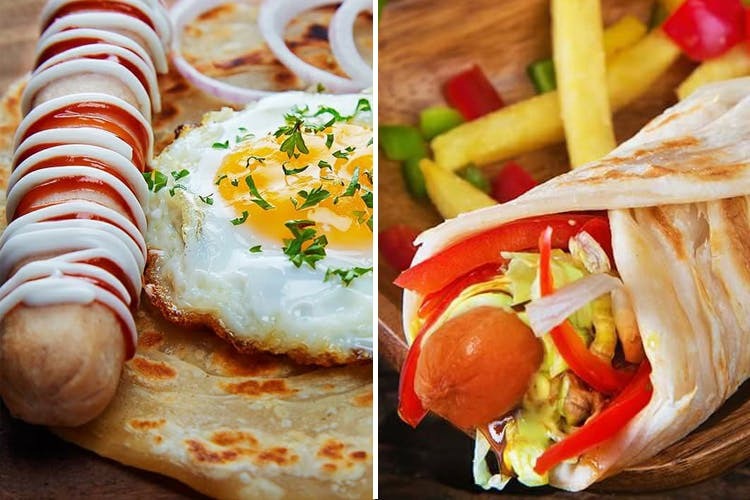 Powai has a new delivery service that’ll give you your dose of hot dogs – either in a bread or a parantha. Newly opened Hoddogs is a hot dog delivery service based out of Chandivali. Their classic hot dog comes at INR 100 that contains chicken sausage, mayo, mustard sauce and ketchup. Not only the classic version, we found their variations to be interesting. There’s the tempting bacon and cheese hot dog for INR 140, the big Indian hot dog that has curry for filling at INR 140 among others. They also have something called the bunwich – a variation of a burger and sandwich. Starting at INR 65, they seem to be the perfect choice for when you don’t want to eat a whole meal. The only hot dog place that gives you an option to skip the bread and choose a parantha, we think our fitness goals will still stay on track.